Color: A thin, clear to pale yellow liquid. Scent: Woody, camphorous, yet fresh. Action: Antiseptic, analgesic, anti-infective, mucolytic, stimulating, antiviral, antibacterial, antifungal, deodorant, expectorant, insecticidal agent, calming. Benefits, Indications: Mild and gentle and particularly useful for children's or sensitive persons respiratory complaints. Can be used neat on the body as a preventative, in the diffuser as a room deodorizer, in massage oil for painful joints and muscles. Inhale for nighttime calm. Eucalyptus smithii is well tolerated by the skin. It can be beneficial for acne, wounds, ulcers and can also be used as an insect repellent and for insect bites/stings. It is a stimulating oil that can help to invigorate and clear the mind. Eucalyptus smithii is a powerful decongestant that can be helpful for coughs, colds, flu and other respiratory ailments. It can be useful for headaches, neuralgia and in massage blends for the joints and muscles. More Info: Eucalyptus Smithii is the mildest Eucalyptus oil and is the preferred choice for use with children or the elderly or when prolonged use is required. 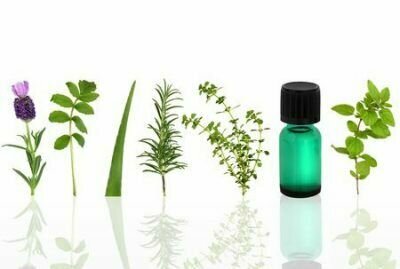 Companion Oils: Thyme, Lavender, Marjoram, Pine, Basil, Cajeput, Citronella, Spearmint, Tea Tree, Ginger, Lemon. Precautions: Avoid if you have high blood pressure or epilepsy. Due to high cineole content this oil should be diluted to safe levels for use on children or avoided altogether. For external use only, this is considered toxic if taken internally. Dilute before use; may cause skin irritation in some individuals, so a skin test is recommended prior to use. Avoid contact with eyes.